Our wide range of packaging machines are specially designed to meet the requirements of our clients spread in various industrial sectors. These packaging machines are robustly constructed to deliver high performance and are used for sealing a wide range of products. Our range of packaging machines includes pouch packaging machines, form fill machines, form fill seal machines and automatic pouch packaging machines. We fabricate and supply an exquisite range of pouch packaging machines that is catering to the needs of various clients in the packaging industry. These machines are renowned for their user friendly, low maintenance, precision sealing and durability features across our clients. 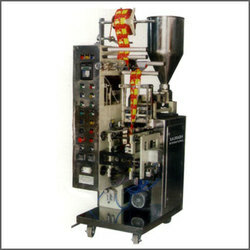 We offer quality range of single track form fill machines and form fill seal machines (FFS) which is manufactured using latest technology and is used to fill the bags and pouches. 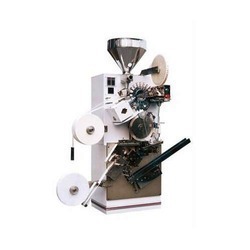 In this machine, the bag length is adjusted by the photocell that traces the film mark. Our machines are renowned for their compactness, simplicity in operation and low maintenance features. 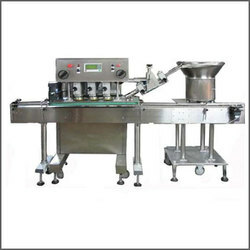 Our precision engineered vial rinsing machines, vial filling machines, vial capping machines are suitable for filling and sealing purposes in various industries. 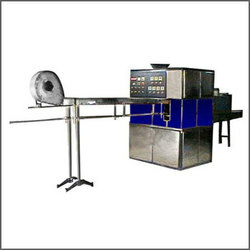 This machine is renowned for its low noise and accurate functioning. Containers moving on S.S.Slat conveyor, feed below the filling nozzles through a settable twin pneumatically operated stopper system. The dosing block with a hexagonal bolt fitted below syringes enables easily setting of the fill size. Our range of automatic rinsing machines, automatic filling machines, automatic capping machines, are high in demand in various sectors and are mainly used for mineral water/ Non-carbonated beverages. 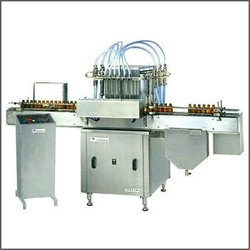 The entire procedure has requirements in the filling machine for rinsing, filling, capping and sealing automatically and process is fully computerized with PLC and sensor Control with one touch instrumentation. Capable of bottling various sizes of bottles ranging from 500 ml to 2 Ltrs, the mineral water / bottles are fed into the input feed conveyor. The bottles are mechanically picked by the rinsing rotor, using spring loaded grippers. Bottles are reversed automatically to start the rinsing cycle which in most cases used product water as the rinse medium. Mechanical rinse valve provides the feature no bottle-no rinse, which safeguards against wastage of treated water. At the end of the rinsing cycle, the bottle is worn out of most remaining water, before being straightened out and handed over to the filling rotor. 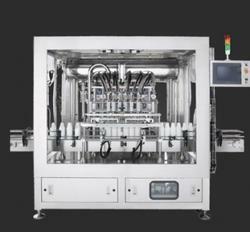 This system fills every bottle to the preferred volume adopting the vent pipe filling principle for accurate filling. The mechanical spring loaded filling valves are actuated automatically by the bottles when lifted up to commence filling. 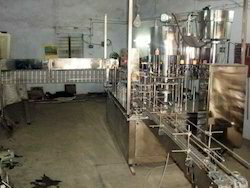 In this stage again the bottles are held at the neck by neck holding lifters and the machine operating speed can vary using variable speed AC drive. The bottles are held at the neck decisively during capping to fabricate completely leak proof results. Caps are feed into the machine by an automatic cap elevator with an SS 304 ground level hopper which can contain up to two thousand caps. The cap elevator feed caps at the desired rates to the cap pickup rotor of the machine. 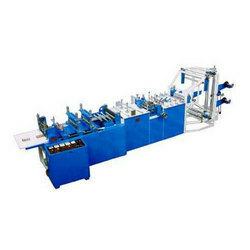 With the assistance of our skilled professionals, we are presenting a quality approved array of Tea Bag Packing Machine. 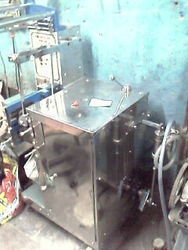 The Packing Machine we offer is highly demanded for their precise use. Moreover, one can get these products at industry leading prices. For the Tea-bag Packing Machine model DXDC8II, the envelope is sealed and packed with paper/polyethylene film which is fresh keeping and damp proofing. 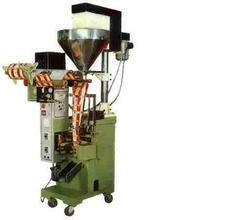 We are offering efficiently designed center Seal Pouch Making Machine that has been efficient in its production. The joint efforts of our dedicated professional team have resulted in the matchless pattern of center seal pouch making machine. 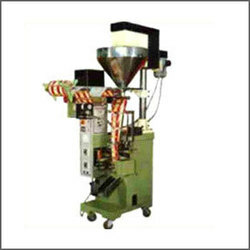 The product has been highly demanded in numerous industries owing to its vital speed of 180 strokes per minute. Made from the quality raw material that is procured from our reliable vendors, the product has made its own distinct image in the industry. In addition, the features like dimensional accuracy and long term maintenance are major attractions for the customers. We have been counted amongst the most trusted names in this domain, engaged in providing Snacks Packaging Machine. 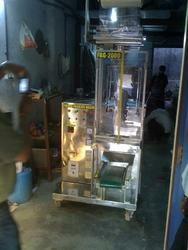 These machines are generally used to pack packets of snacks such as chips, namkeens, cookies etc. owing to its ease of operation and high efficiency, this product is widely demanded amongst our valued customers from different commercial and industrial sectors. Moreover, we make sure that the ordered products get delivered at the client’s premises within the committed time frame.